Oklahoma running back Samaje Perine became the program’s leading career rusher on Monday night in the Sugar Bowl. Perine rushed for 86 yards by the fourth, surpassing former rushing leader Billy Sims whose 4,118 yards has been the high-water mark since 1979. On his way to the rushing record, Perine scored one touchdown against the Tigers, bringing his total to 49 in his career. Perine rushed for over 1,103 yards and 13 touchdowns his junior season, despite missing three games due to an ankle injury. Prior to the Sugar Bowl, Perine averaged 108.2 yards per game this season. 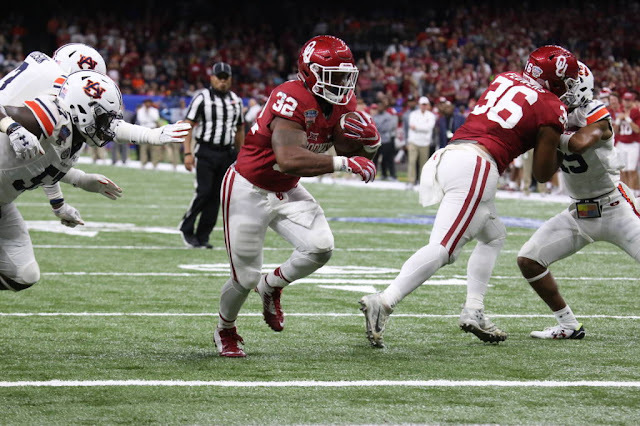 Perine rushed for over 200 yards in two games this season, including the Sooners' 45-40 win over Texas and the Big 12 title game against Oklahoma State.